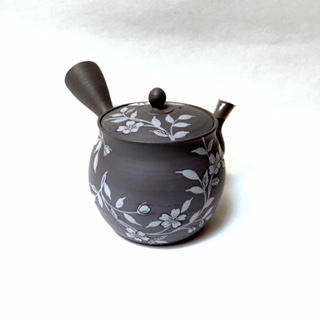 Delicate darling lavender teapot with detailed grey flowers. Ceramic spout strainer. 2 3/4" diameter opening and 3 1/2" height.